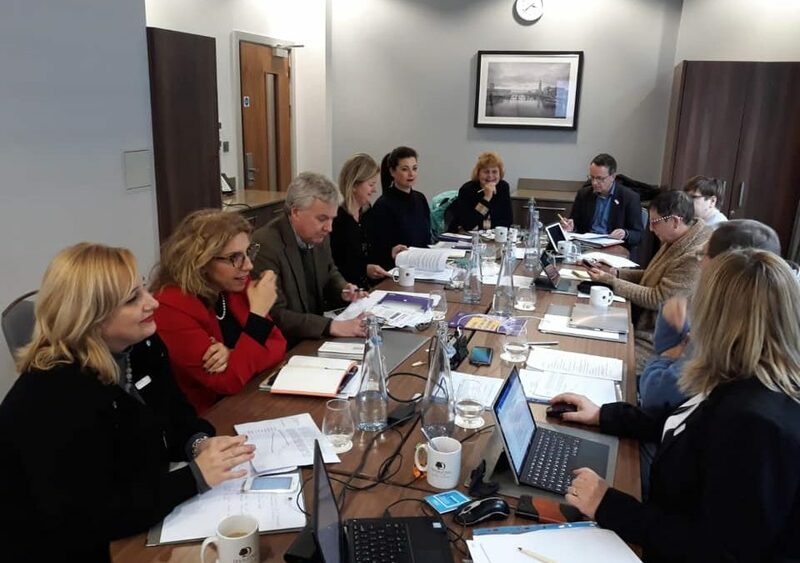 This year’s first SAFE Board meeting took place in London this week, from 4-5th February. The Board members took two days to discuss the current and future SAFE Strategy, with special focus on governance, finances and supported growth in member organisations. Among many SAFE ongoing projects, there will be two which are very important for SAFE’s political activities. The first and the fast approaching is the EU Presidency event that is going to organised in the EU Parliament on 28th March this year. The Board discussed the details around this project and the activities that will be performed prior to the event to ensure better impact. The other strategically important project is the big research about the Economic Impact of Stroke in Europe. This research is being done by the Oxford University researchers and the report is to be presented in the EU Parliament at the end of October this year, around the World Stroke Day. The Board ratified the Social Media Strategy and agreed on ways forward and the venues for this year’s Regional Conferences were defined. Stroke Support Organisation Faculty Tool (SSOFT) was again among the most important topics, considering its value and significance for the stroke support organisations’ empowerment.